By popular demand the super cute Hatchlings from the tremendous Angry Birds movie, are taking the shelves by storm this year! With a strong social media following and an incredible series of animated shorts online the sky's the limit for the Angry Birds Hatchlings. Fans of these colourful and cuddly fluff balls will love having fun with our range of colour in bags and cute soft toys. Have you ever asked yourself "What came first the Hatchling or the Egg?" well now you can finally find out for yourself with our brand new range of Hatchling reversible soft toys! 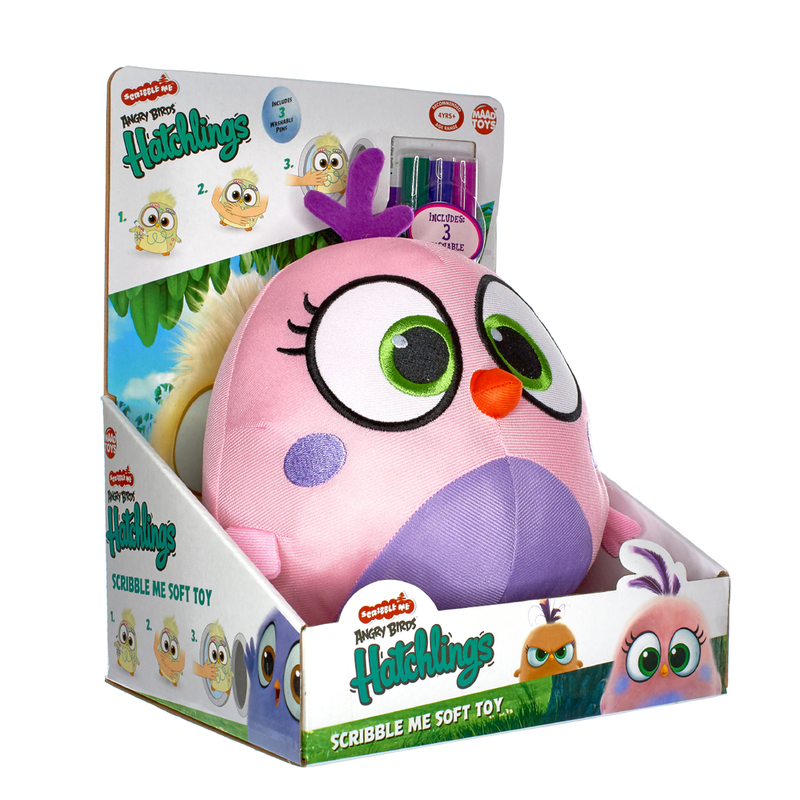 Each Hatchling egg is beautifully packaged in a gift box ready to be hatched for hours of cuddly Angry Birds fun. 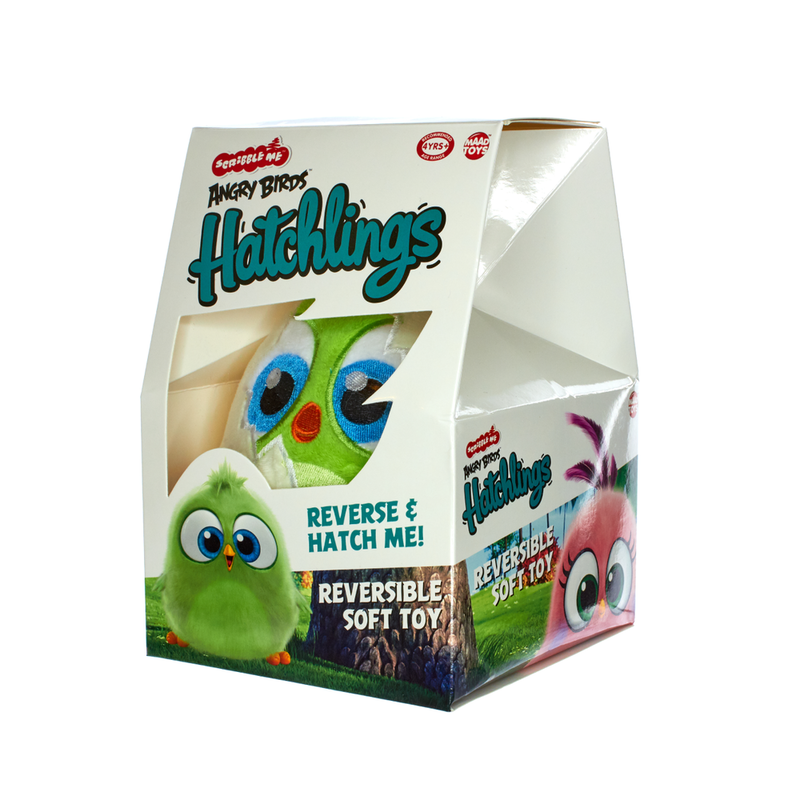 Hatching is so easy with a simple velcro fastening mechanism, our cuddly Hatchlings can be reversed and re-hatched time and time again, so the fun never ends. Hatchlings fans will have hours fun slamming these pocket sized Hatchlings slammers to hear them sing ! Each Hatchling slammer features their own individual iconic sounds. Constructed from our super soft plush fabrics each Hatchling Slammer is soft to hold and fun to slam! Hatchlings fans will have hours of fun, scribbling, customising and cuddling. When your child wants to start again, simply pop your Hatchlings in the washing machine and wash him clean. 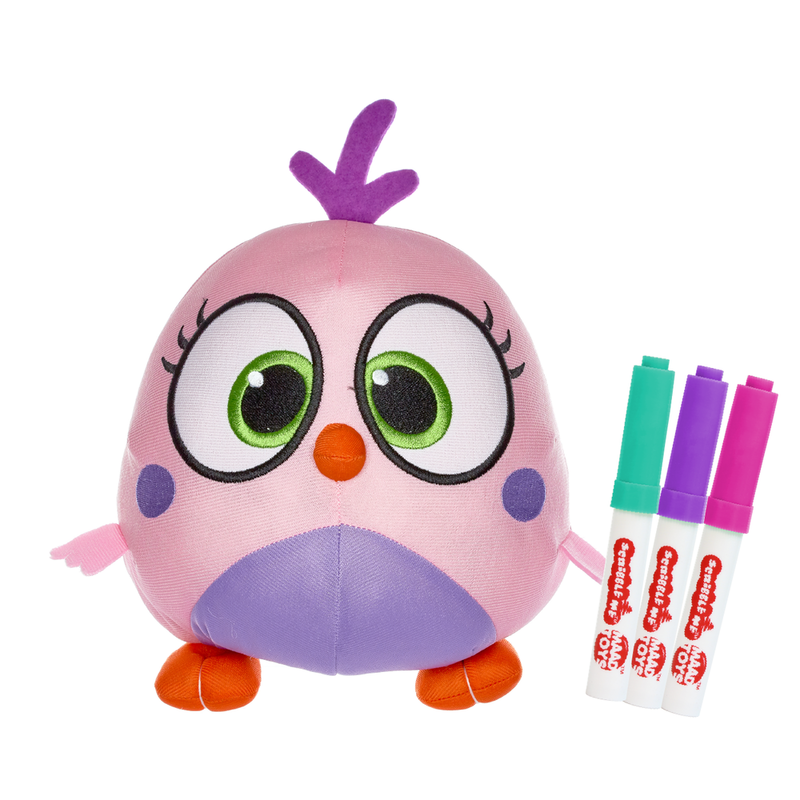 Introducing a scribble me Hatchling at an early age will help to build imaginative thinking and decision making skills. Scribble Me Hatchlings come with 3 washable markers that compliment their colour scheme. 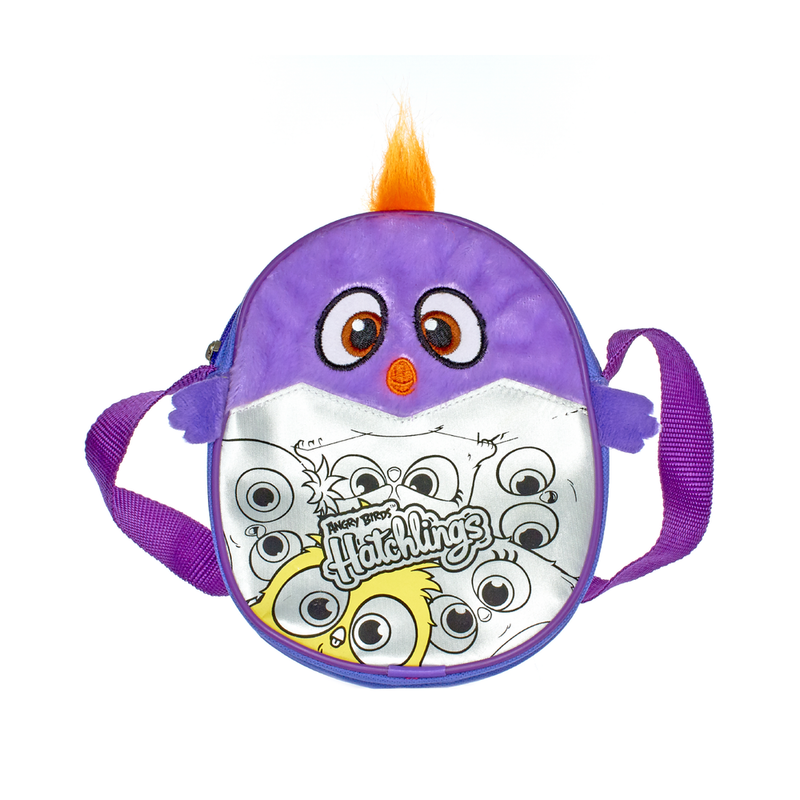 This Hatchlings Messenger Bag is an ideal gift for little fans of creativity and cuteness. Each bag comes with 5 permanent pens so that children can bring their favourite Hatchlings characters to life in wonderfully vibrant colour ways. This messenger bag features all of the super cute hatchlings cast posed perfectly for colouring fun! Constructed from strong robust fabrics, this bag is suitable for everyday use and comes with five permanent markers to colour and customise. This Hatchlings Handbag is an ideal gift for little fans of creativity and cuteness. Each bag comes with 5 permanent pens so that children can bring their favourite Hatchlings characters to life in wonderfully vibrant colour ways. This handbag features all of the super cute hatchlings cast posed perfectly for colouring fun! Constructed from strong robust fabrics, this bag is suitable for everyday use and comes with five permanent markers to colour and customise. This Hatchlings Back Pack is an ideal gift for little fans of creativity and cuteness. Each back pack comes with 5 permanent pens so that children can bring their favourite Hatchlings characters to life in wonderfully vibrant colour ways. This back pack features all of the super cute hatchlings cast posed perfectly for colouring fun! Constructed from strong robust fabrics, this bag is suitable for everyday use and comes with five permanent markers to colour and customise. This Hatchlings Purse is an ideal gift for little fans of creativity and cuteness. Each purse comes with 5 permanent pens so that children can bring their favourite Hatchlings characters to life in wonderfully vibrant colour ways. This purse features all of the super cute hatchlings cast posed perfectly for colouring fun! Constructed from strong robust fabrics, this purse is suitable for everyday use and comes with five permanent markers to colour and customise. There are 5 Hatchlings Character Bags designs so fans can collect them all or pick their own favourite Hatchling. Each bag comes with 5 permanent pens so that children can bring their favourite Hatchlings characters to life in wonderfully vibrant colour ways. These character bags feature all of the super cute hatchlings cast posed perfectly for colouring fun! Constructed from strong robust fabrics, this purse is suitable for everyday use and comes with five permanent markers to colour and customise. © COPYRIGHT 2017 MAAD TOYS LIMITED · ALL RIGHTS RESERVED · THE MAAD TOYS LOGO IS A TRADEMARK OF MAAD TOYS LIMITED.